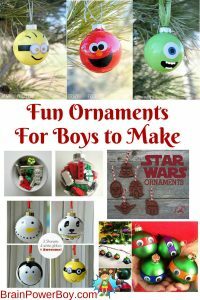 I love all things Christmas and am always excited to do a bit of decking the halls. This year I decided to add a LEGO Christmas Scene to the mix! 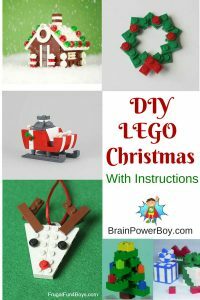 If you are looking for an easy to make LEGO Christmas build we have a fun idea. I asked my son to help me make something Christmas-y and this is what we came up with together. 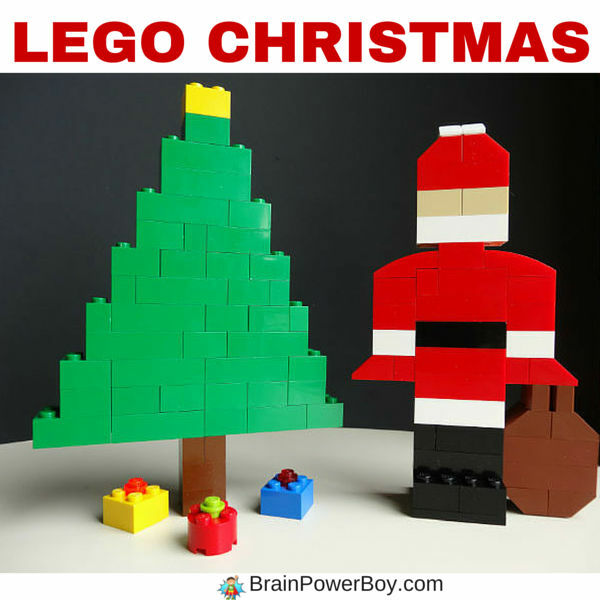 A LEGO Santa, Christmas tree and little LEGO gifts. We have other LEGO designs as well so be sure to take a look. Let’s build! The santa and tree with gifts were made with mostly standard bricks that we had in our collection. I’ll let you know which specialty pieces were used and where you can find them within the article. 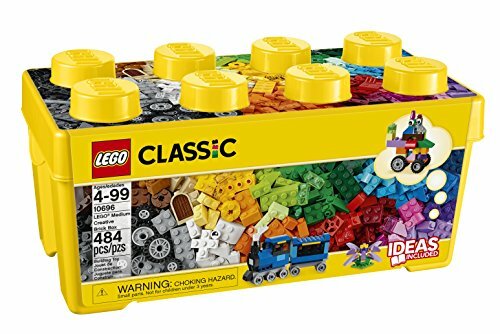 Many of the pieces we used for Santa Claus and the brown bag were from this LEGO box set. We love it for a lot of reasons! One is the good variety of colors and pieces. Another is the eyes! It comes with a bunch of neat eyes that are great for a lot of projects. A third is because it has great colors not often found in other sets. 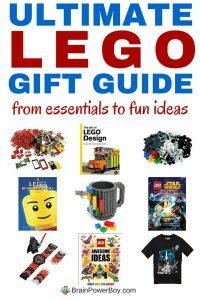 All of these great features add up to a lot of creative play value in one awesome LEGO box. On to the LEGO design instructions . . . These little gifts are so cute. Take a standard 2×2 brick and add a transparent or solid color stud to the top. You can also use a round 2×2 to make a gift if you have one. That’s it. Super simple. Make as many as you like. The Christmas tree is easy too. Simply get your base layer down and connect bricks together indenting as you go all the way to the top. The tree is 16 bricks high including the trunk and the star. It uses brown 2×2 bricks, green bricks in a variety of sizes, and one yellow 2×2 for the star. As you can see, we used whatever size bricks we had. The width of the tree starts out with one layer of bricks which is 14 studs wide. There are two layers of bricks put on top of that which are 12 studs wide. Then just keep going up until you get to the top. Add a yellow brick to the top for the star. Add three 2×2 brown bricks for the trunk. 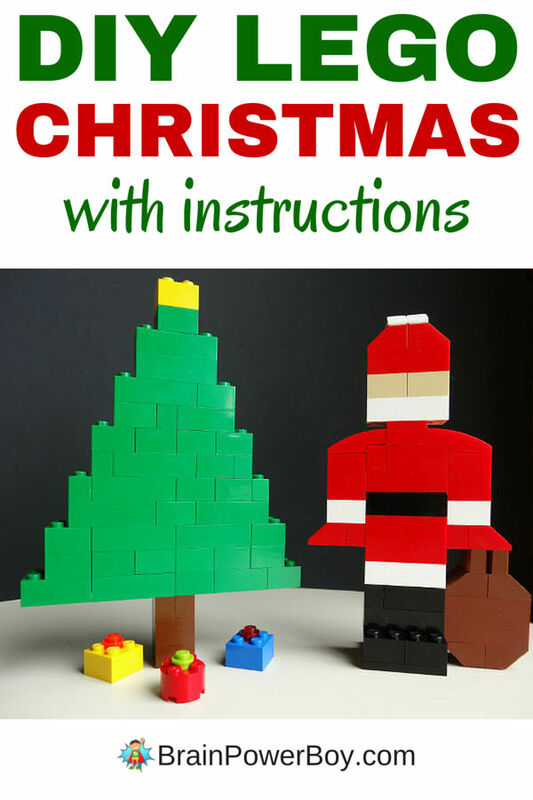 Santa took a bit more figuring out for us but it will be easy for you to build with your kids by following these directions and looking at the picture. Santa is 15 bricks high including the fur on the top of his hat. He uses black, white, red, brown and tan bricks. He starts with 1 flat black 4×4 plate for boot soles. Two layers of black 2×4 bricks on top of that. Next is a bit of fur – 1 white 2×4 brick. 2 layers of 2×4 red for the pants. 1 layer of 2×4 black for his belt. 2 layers of 2×4 red bricks for his body and one 2×2 for the neck. His head consists of one 2×4 white brick for the beard – keep it as one piece if you have it because it looks better. His face is 2 2×2 tan bricks – you could also use a 2×4. His hat is one 2×4 red brick. On top of that add 2 2×2 red 45 degree roof tiles (see picture for slant.) Add four white slope 30 pieces 1x1x 2/3. The arms and shoulders of santa starting at the top of the shoulders is made with two red bricks with bow 1/3, two red 2×2 bricks, and one 2×2 white brick. Do this for each arm. Santa’s sack is made with brown bricks. Use two 2×2 45 degree inverted slopes, two 2×4 bricks, two 2×2 45 degree roof tiles with two 1×2 curved (you can use regular) bricks on top. Attach sack to Santa’s mitten. Here is a little video I put together so you can see the building in action. I hope you like this Christmas LEGO Design as much as we liked making it for you. Here are a few more Christmas articles you might want to check out. These are great! We visited the Lego store in NYC today and they had this great big Lego Santa, so cool! The one you have here is perfect to try! Wow, that is so neat Susen! I bet it was a lot of fun to see it. I hope you enjoy this. Merry Christmas, Sheila, to you and your family! Thank you Donna, Merry Christmas to you and your family as well!